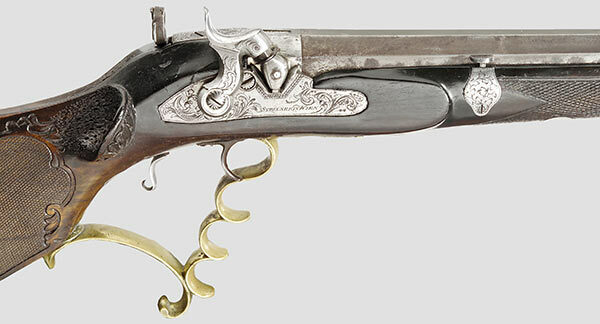 Heavy octagonal barrel with 16 flats in the center section and a seven groove rifled bore in 13 mm caliber. Dovetailed iron sights with a peep rear sight. 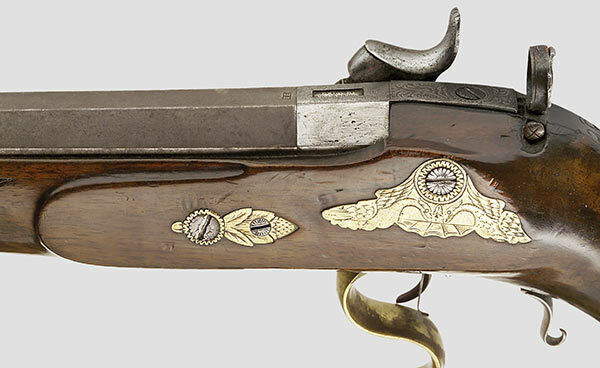 Silver filled markings on the breech, "Strixner in Wien" and stamped initials, "FB". Percussion lock with floral engraving and another signature. A set trigger with a supplementary safety on the forearm. Beautifully carved and checkered ergonomically shaped walnut half stock with a Tyrolean cheekpiece and richly engraved brass furniture. 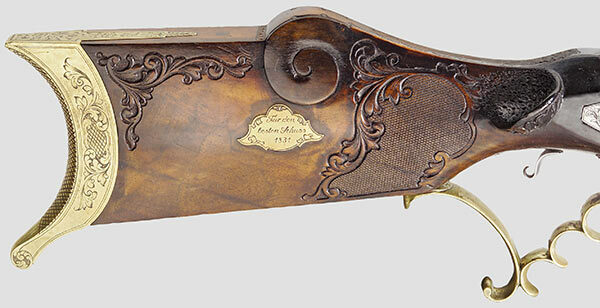 There is a brass plate inlaid in the buttstock "fur den besten Schützen 1831" (For the Best Shot, 1831). Length: 115.5 cm. Johann Baptist Strixner, known in Vienna 1825-37, became master in 1825.